Even though Razz poker is less popular than Texas Holdem and Omaha, it continues to attract a small cadre of devoted fans. (By the way, we have an entire set of articles on Texas Holdem strategy that we encourage you to read.) Because Razz appeals mostly to a “niche” group of players, a lot of land-based casinos refuse to offer it. For example, if you wanted to play the game in Las Vegas, you’d have better luck visiting the downtown rooms rather than those on the strip. 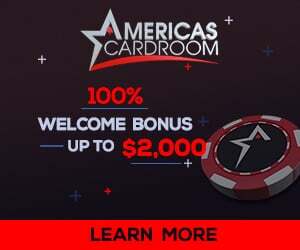 That said, a lot of the top online poker rooms, such as Aced Poker, have added Razz poker to their table list. While the traffic is a little sparse compared to the holdem games, there are still plenty of people to fill the tables. Below, we’ll take you on a comprehensive tour during which we’ll explain how to play Razz poker and evaluate hands. We’ll also go through multiple rounds of betting so you’ll know what to expect when you hit the tables. Unlike Texas Holdem and Omaha, Razz poker is a “low” game. It uses an “Ace to Five” hand ranking system, which we’ll explain in more detail below. Flushes and straights are not recognized. That is, neither influences your hand’s ranking value. What the above implies is that a 5-4-3-2-A (known as a “wheel”) is the best possible hand you can have when playing Razz poker. That’s because straights are not recognized, which makes a wheel the hand with the lowest value. The rule about pairs is nothing new, especially if you’re familiar with holdem or Omaha. For example, a J-Q combo is ranked lower than a pair of twos. The Ace to Five ranking system takes a little time to get used to, but should be familiar if you’ve played Stud Hi Lo or Omaha Hi Lo. Hand #1 has a lower value than hand #2 based on comparing the fourth card (i.e. 4 versus 5). Similarly, a 7-7-5-4-3 would beat (i.e. have a lower value than) a 7-7-6-4-3. There is no qualifier used in Razz poker. Even if you have a pair of sixes and a pair of fives, you’ll win the pot if your two-pair hand has the lowest value going into the showdown. You’ll notice the above list is consistent with the rule that straights and flushes are not recognized, and pairs are high. As you would expect, a three of a kind (as in hand #1) is unlikely to win a pot. Each hand begins with all players posting an ante (there are no blinds). The amount of the ante is usually 20% of the small bet. In a $3/$6 limit game, the ante would be $.60. Once the ante has been posted, cards are dealt starting with the player to the dealer’s immediate left. Each player receives two hole cards face-down and a single card face-up. The upcard is called the Third Street. The person with the highest-ranking upcard is required to post a bring-in bet. The amount of the bring-in is usually held at 25% or 50% of the small bet, but that varies by the game. The player who “brings in” can choose to raise by posting up to the small bet. Otherwise, he (or she) can keep it at the bring-in. A quick aside: There are 5 rounds of betting in Razz poker ( check out our Razz Poker Strategy articles). Three raises are allowed during each round. In limit games, bets and raises during the first two rounds are usually held at the small bet (i.e. $3 on a $3/$6 table). The latter three rounds are bumped to the big bet. After the bring-in has been posted, betting proceeds clockwise with each player either calling, raising, or folding. The next round begins with each player receiving a single upcard. This card is called Fourth Street. The betting starts with the player who has the lowest hand showing. (At this point in Razz, the lowest show hand is an A-2.) If two or more players have the same lowest-ranking exposed cards, betting begins with the person seated nearest the dealer’s left side. As betting progresses clockwise, each person can choose to call, raise, or fold. Bets and raises are kept at the small bet limit during the Fourth Street round. The next round opens with each player receiving another upcard. This called is called Fifth Street. The lowest-ranking show hand starts the betting, but all bets and raises are bumped to the table’s big bet limit. Once the betting following Fifth Street has finished, another card is dealt face-up to each player. This card is called Sixth Street. At this point in the hand, each person has two hole cards face-down and 4 upcards. Another round of betting starts with the player who has the lowest hand showing. Bets and raises must meet the game’s big bet. The final round begins with each person receiving a single card face-down, known as Seventh Street. Though it’s rare, there are times when all 8 players are still active. If that’s the case, there will not be enough cards for each person to receive one. The dealer will instead place a single community card (face-up) in the middle of the table. Betting following Seventh Street progresses in the same manner as during previous rounds. It starts with the player who has the lowest hand showing, and all bets and raises are kept at the big bet limit. If there is only one active player following this last round of betting, that player takes the pot. If multiple players are still active, the last person to bet is the first to show their hand. The showdown proceeds clockwise. The winner claims the pot and a new hand begins. We’ve written a short article on Razz poker tips that we encourage you to read.